Cognition: Cognition is a cutting-edge post production, visual effects and Digital Intermediate (DI) facility for film and television as well as a company focused on developing Virtual and Augmented Reality projects and technologies. Project Scope: Audio Intervisual Design were commissioned to build a state-of-the-art Color Grading and Screening Room. 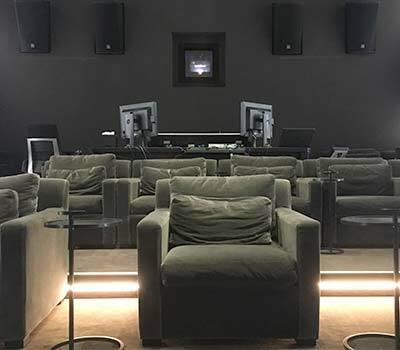 Integration: Audio Intervisual Design included system design and the installation of JBL main and surround speakers, projection and an audio console together with the acoustic design of the space.